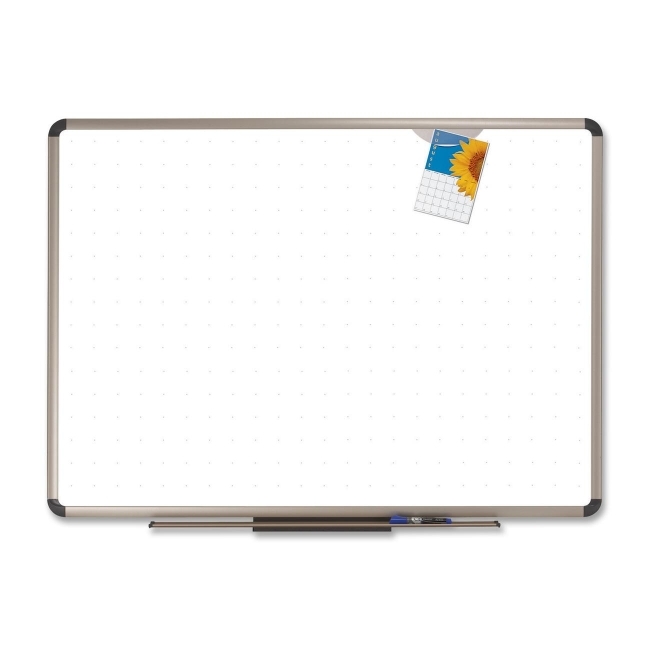 Dry-erase board is part of the Quartet Euro Prestige Total Erase series. Subtle grid pattern remains invisible to the audience while keeping your handwriting straight during brainstorming sessions and presentations. Stain-resistant Total Erase surface does not stain or ghost. An easy-to-use corner cap mounting system holds the board tightly to the wall in four places. Included Quick Clips allow you to post items without adhesives. An attached marker tray conveniently stores markers and accessories. 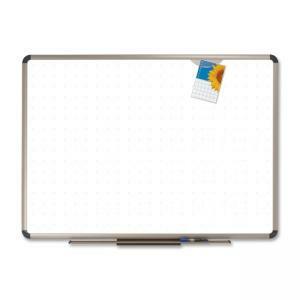 Dry-erase board also includes an aluminum frame with titanium finish and one Quartet dry-erase marker.